Yep, my cousin Harlin was the hardest working man and the hardest working family I have ever known. And he would come over and help my dad when he had calving issues with his little 30 cow herd. Seems like it was always with weather like we are having now. Dairy is the ONE industry in Ag that you couldn't talk me into getting into regardless of the amount of money thrown at me. WAYYYYYYY too many hours, WAYYYYY too many regulations, WAYYYYY too little money anymore. The milkman was making some super money when the gov't subsidies were pouring in. They're taking it on the chin and in the nuts now that the subsidies have quit(or almost quit) since people have started milking almonds and dairy is the worst thing in the world for you now. Y’all did provide tons of perspective. Land/cattle/facilities prices, starting at the bottom, probably working until I die trying to turn a profit. I appreciate everything. Seems like if you weren’t born in to it, it isn’t in the cards financially. Thanks everybody. If you don't have the land free and clear.... no way, zero, impossible to make it. Man, all of this sounds just absolutely awful. Don't do it. A lot better industries in Ag to get into. Sorry for your pain but I love your business insight. It's cool to look inside the business life of a dairy farmer. Buy hey, what if you turned your product into a more finished state like cheeses (cream cheese, cottage cheese, regular hard cheese like cheddar and swiss) would that help your bottom line? I’m 37 and know nothing of the Dairy industry. My line of work has been military aviation maintenance for the last 20 years. I have a very rare opportunity to learn the business in hopes of taking over a 1400 cow/800 acre operation in the future. Is this too daunting? I know it’s a massive lifestyle change. At this point in my life, would I be taking on too much? Is the learning curve too steep for a rookie? I'm more pleased with you doing your 20 and starting at 17/18. When you get your DD214 what will you rank out at? That's a great story because you'll have a pension the rest of your life and most folks our age will still be trying to fund their pension. 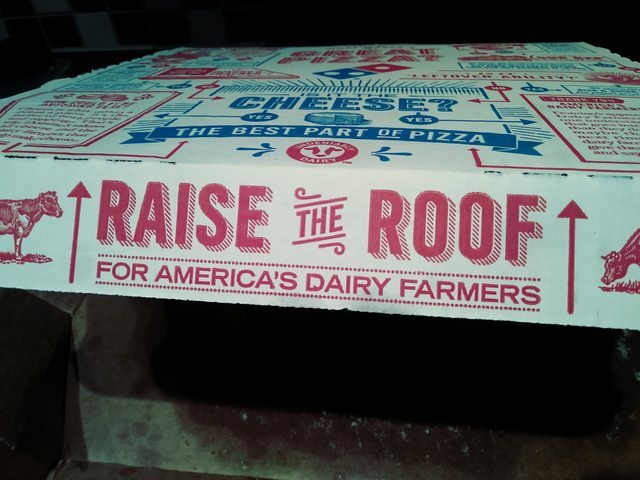 Dairy farmers are making in money? I worked in the family Dairy business for three years with my ex in laws. It was just long enough to figure out I did not want to do it for the rest of my life. The amount the Dairy farmers get is atrocious for a gallon of milk. When they raise the price on a gallon of milk everyone throws a fit, but will spend 4 times that for a pint of ice cream. If you do not have something on the side its almost impossible to make it month to month. We farmed, ran cattle, a operated few oil wells, etc. Last operating Dairy in Bexar county that I know of before they shutdown. Both seem to be doing fine to me, I guess I'm missing something ? My inlaws ran a dairy for more than 30 yrs in Wood County as well. However they went through the buy out back about ten years ago. From what I understand unless you’re milking north of 1000 head on a dry lot you’re probably not making enough to make it worth the effort. Now with even more regulations it may be even tougher. 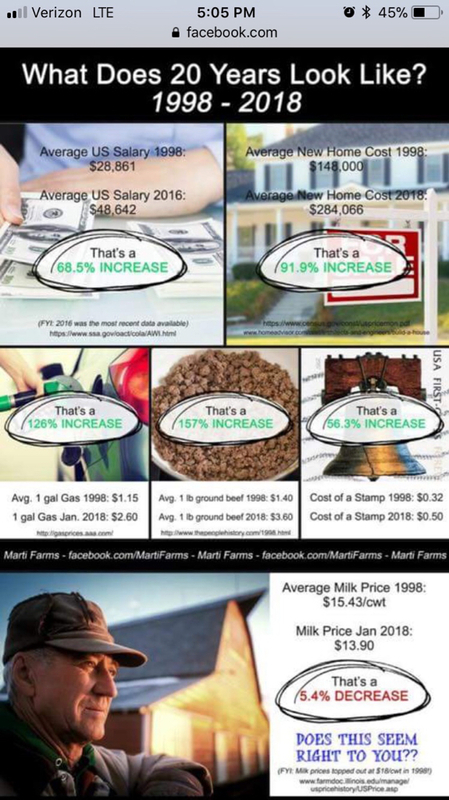 Also most the dairy’s that are running now were paid for back in the 80’s when there was money to be made. I can’t even imagine how someone would begin to cash roll one now. Lol.... what kind of cattle do you milk? I worked on a jersey farm for about 7 years growing up. It was a great experience but not something I want to for a living. You learn to fix all kinds of stuff. Like being a mechanic, welder, and vet all in one. Have you tried to sell raw milk to the public? Lots of people going organic and willing to pay top dollar for it. It probably costs this much just to ship each gallon from farm to big processing plant to store. This probably pizzes low fence off to no end. I know it would me. You better read Mr. Lowfence posts over and over. I received a letter from milk company informing us due to projected milk prices there will now be a 24/7 TOLL FREE suicide help hotline we can call... in not making this )&&% up. Projected sub $14 cwt by spring.... plus an over production penalty that all will see. That's RAW milk.... not whole milk. They still make other products from it before it's bottled "whole"
I see you're in Quitman, my cousin and uncles have dairies in Quitman? Miniola? I grew up working on my mother's siblings dairy farms. Nothing near that size. I left home after high school knowing in would do most anything in life to earn a living besides painting and getting slapped in the face with a silage covered tail on a dairy farm. It's honest, hard work that doesn't pay much or allow much time to enjoy life. I think you should quitman. I got out about 6 years ago. Best thing I could have ever done. I still have 2 brothers dairying and my dad just sold out last year. Wouldn’t recommend getting in the dairy business. Too many variables that are out of your control to make a consistent profit. You should see all the closed dairies in my area. Really sad to observe such a decline over the years. I run large herds of beef cattle and there is NO way I would consider a dairy business. Roy and Robert are out of the Dairy business. Robert is now a professional chicken farmer/golf hustler and Roy is still running his cow/calf operation. It will be a 24hr a day and 7 days a week job, twice a day, so be prepared!!!!!!!! My cousin got away from beef and went to dairy in the mid 70's. Made tons of money then. Got out in the late 90's. 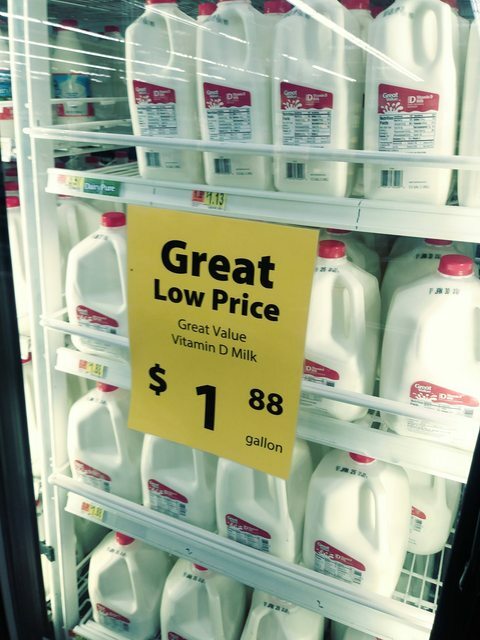 Milk sold for the same amount as when he started. Of course everything else cost way more. He was limited to about 500 cows also. He said he needed to be bigger, didn't have the land for it. Now, this is second hand info. Him, and any other family members are gone since the early 2000's, and I am going off memory. But I know they worked 14 hr. days, 7days a week, 365. My uncle grew up on his dad's dairy. I don't know how old my uncle was when he got it, but the milk selling for same as when he started is the reason he sold. That and the 14 hour 365 no vacations. I'm not a dairy farmer, but I know a few and if there is one thing I know about them, they are married to their farms. Unless they make enough money to hire a REALLY good foreman, they miss more family events, hunting trips, vacations, weekends away, etc than anyone I know. Twice a day every day and it never stops. Your life will never be the same. Some people don't mind that fact and others can't last a month. The opportunity to take over a family farm can be a giant blessing but unless you love it and it's in your blood, it might not be for you. In this day and age, there are a whole lot easier ways to make a living than farming. But if you love it and understand the sacrifices, it can be an enjoyable lifestyle. My 2 cents. From what I have seen it's a real BI*CH. More work than poultry farming if that is even possible. You are gonna work your tail off. Regardless of anything weather, funerals, weddings. The cows have to be milked.